Donald and Sarah McIntyre had recently moved to Herefordshire from London to begin a new life in a tiny one up, one down stone cottage. As if space wasn’t tight enough they also decided it would be a good time to start a family! 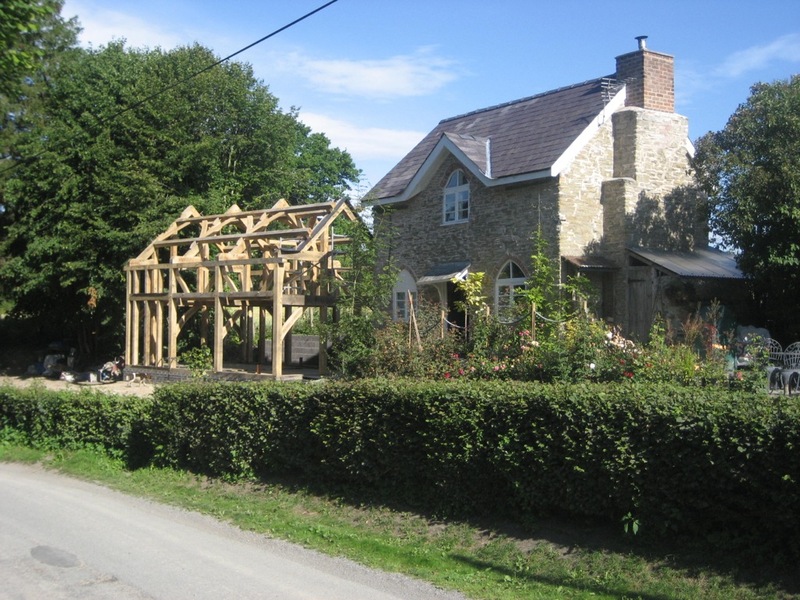 An experienced structural engineer with a burgeoning interest in oak frames, Donald set about designing a modern timber framed extension that would complement the character of the old stone cottage and give them all enough room to live in. 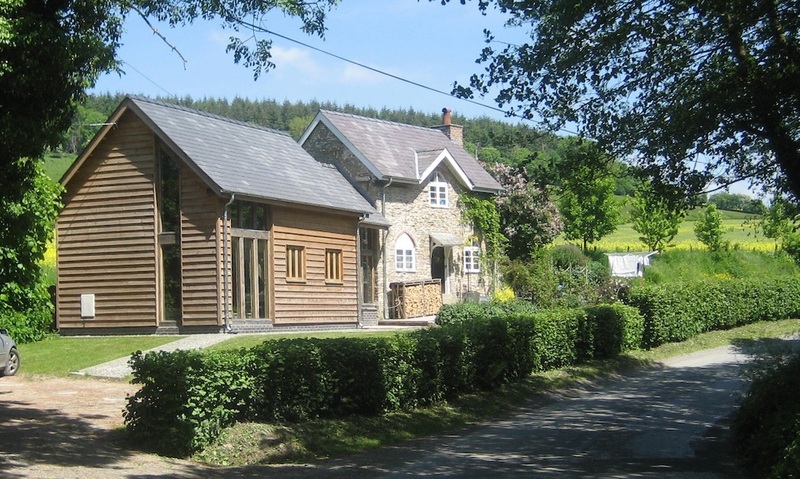 Through a combination of tenacity and skilful negotiation, Donald was able to persuade the planners to double the original footprint of the cottage rather than the standard 50% imposed on most extensions. This turned out to be a victory for common sense when starting from such a small base. Donald’s design featured clever use of space and a glazed oak link from one building to the other. The one and a half storey extension features interrupted tie beam trusses to allow passage between bays on the upper storey. The resultant wedged dovetail joints provide an attractive finished carpentry detail although their main job is to stop the roof from spreading! As the frame dries out over time, these wedges will need to be tapped in to keep the joint tight. Donald’s attention to detail is legendary and the completion of groundworks synchronised perfectly with the projected raising date and to top it off little Stanley was born in time to take it all in. Friends and family were recruited to help with the raising and so on a beautiful summer’s day, the frame went up without a hitch and Donald and Sarah were finally able to stand back and admire what they had been planning for so long.